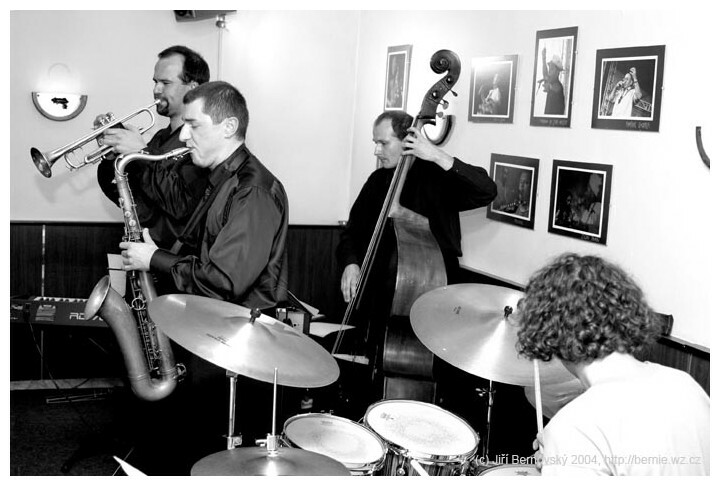 The band was established in spring 2003 in Olomouc, Czech Republic as hard bop formation and during it's lifetime it survived many changes. 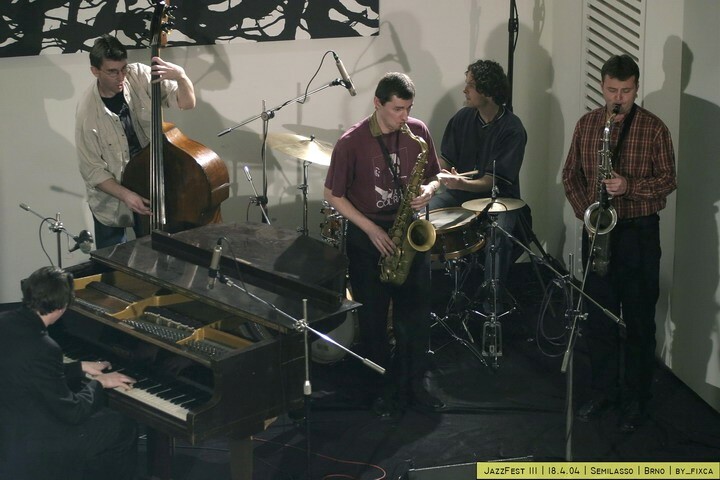 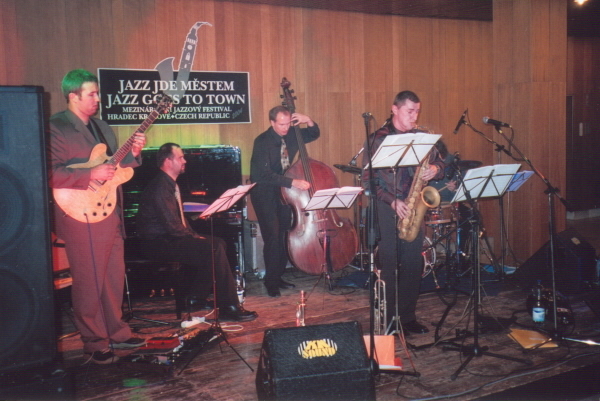 From our highlights let me mention our performance on Jazz Goes To Town festival in Hradec Kralove (fall 2004) and on European Jazz Days Hranice one year later. 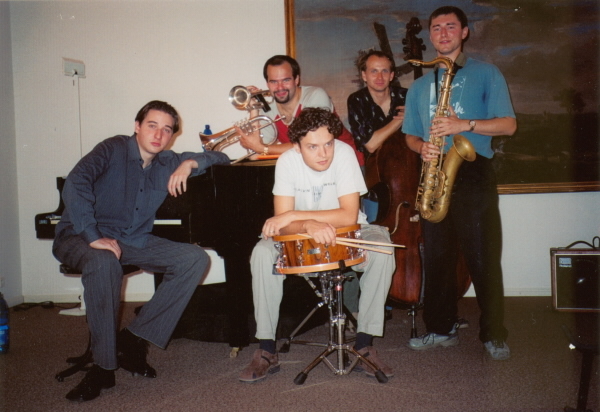 In 2006 I temporarily disbanded the group and continued under the name Short Day Quintet with different repertoire (Shorter, Davis), this group made it's success on Pribramske schody festival in March 2007. 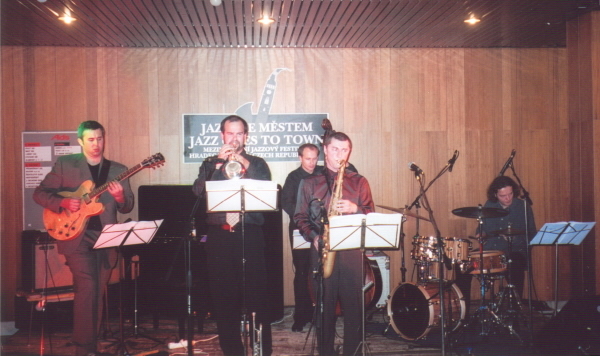 From September 2007 I'm so bussy with the leadership of Big Band IK that I have not performed with my own small group untill today. 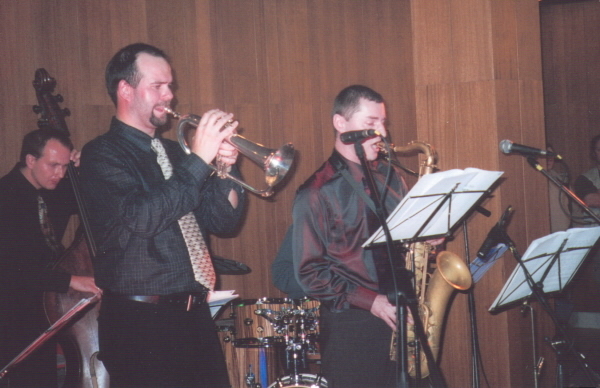 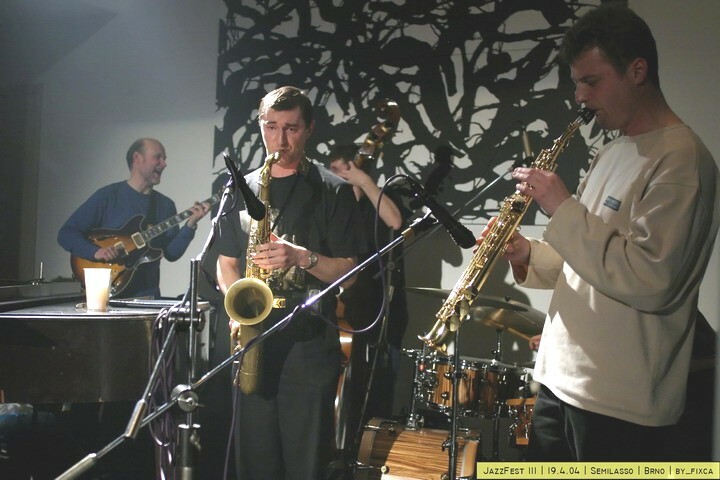 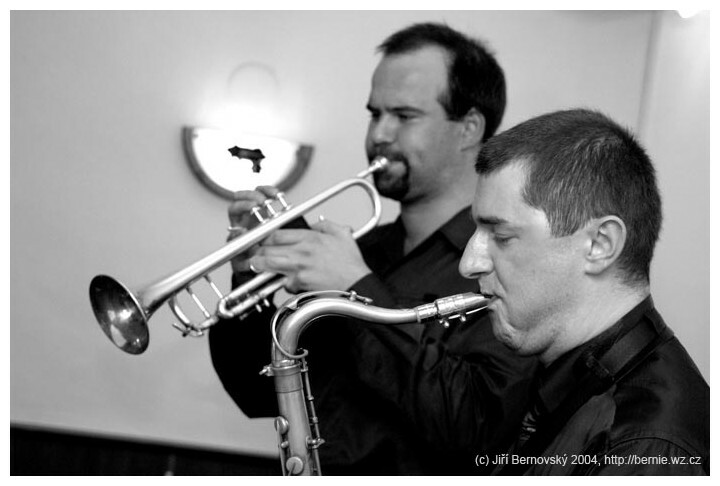 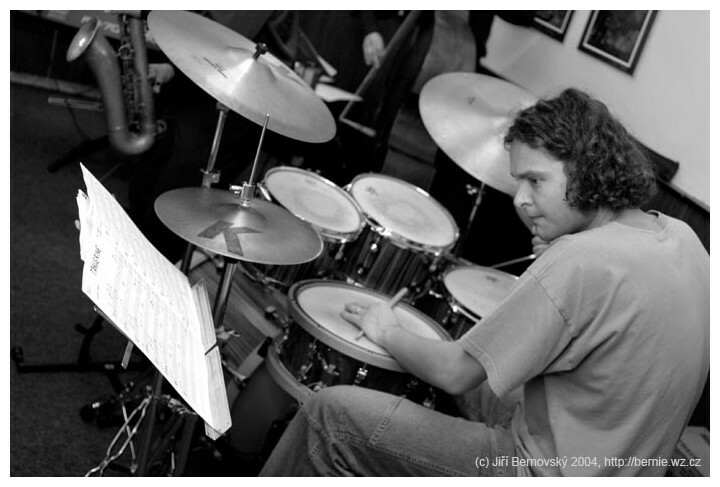 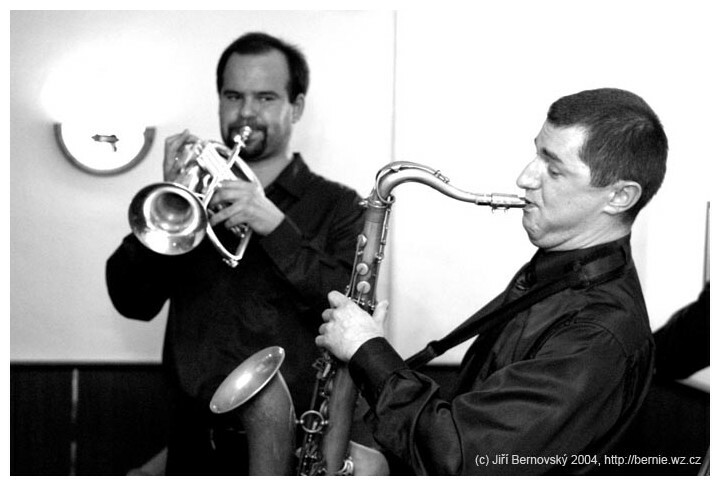 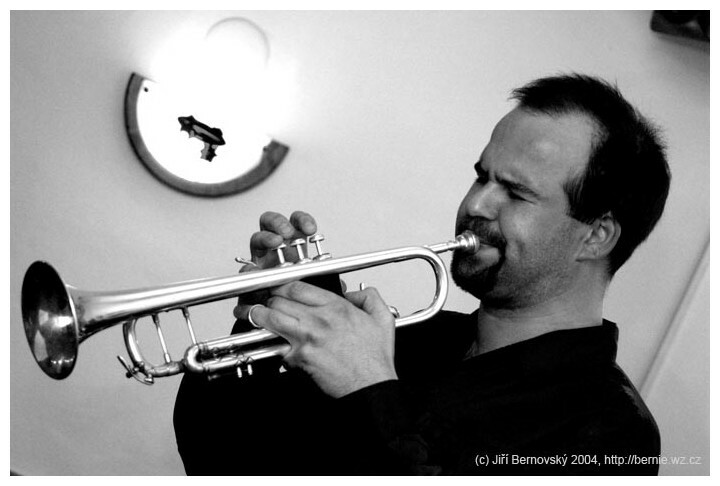 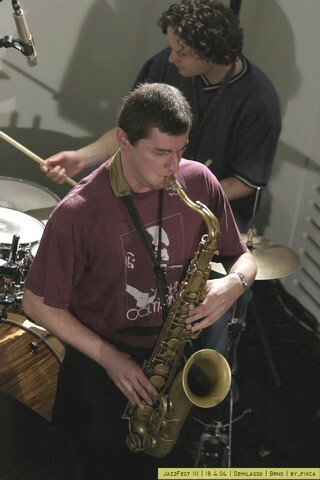 Some pictures from the most important gigs of Blue Train Jazz Quintet, taken between 2003 - 2005. 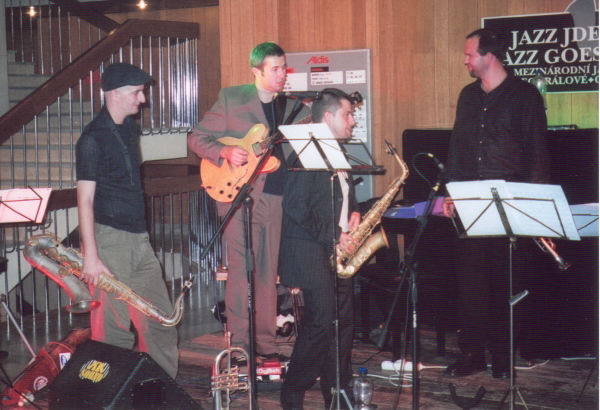 Participated musicians: Radek Zapadlo (saxes), Petr Dvorský (bass) and some members of Blue Train (Kamil Slezák, Jakub Červenka, Tomáš Veselý). 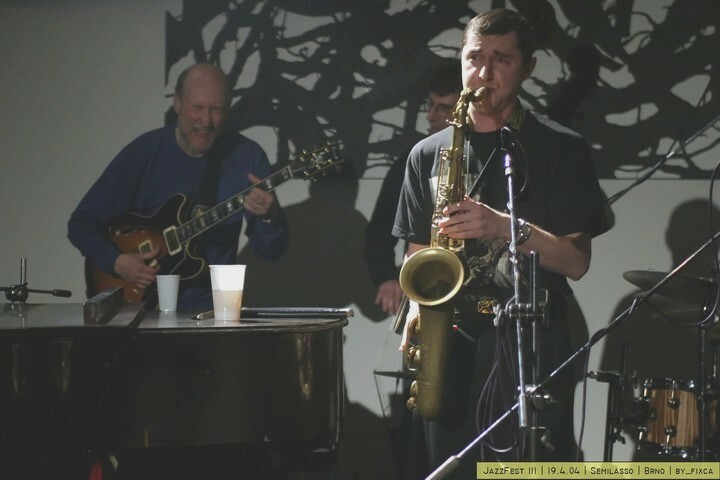 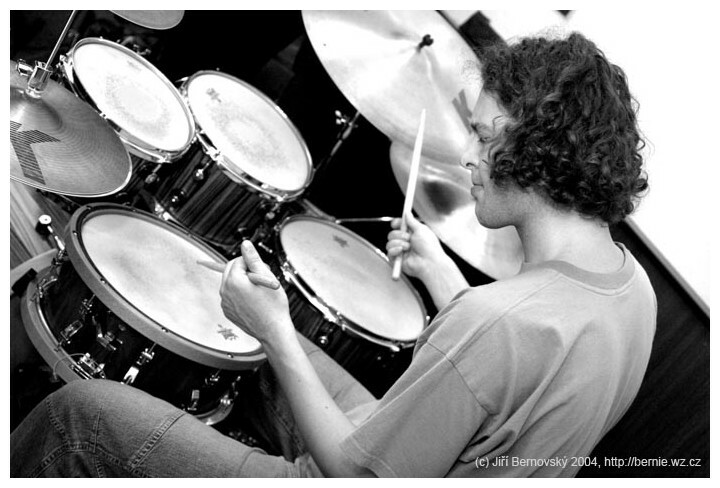 This group was enlarged by John Scofield, who improvised with a pleasure on three wellknown standard tunes. 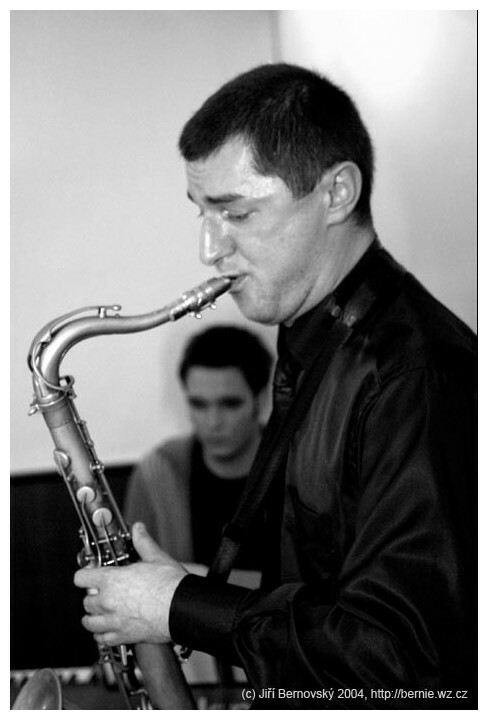 It's been our great pleasure to perform on this prestigeous festival, with guest guitarist Patrik Hlavenka (Prague). 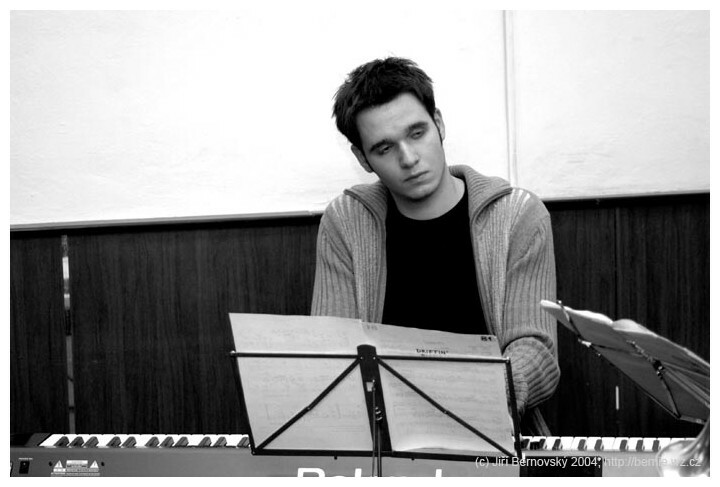 Our performance was closed by an excited jam session w./ Rosario Giuliani (alto, Italy) and Olivier Temime (tenor, France). 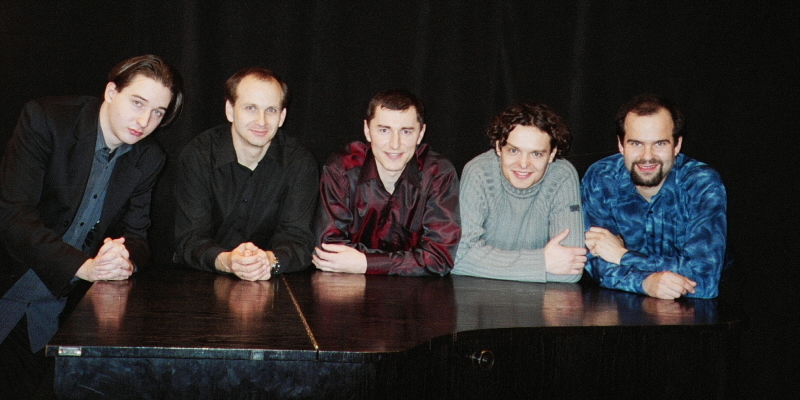 Jiri Levicek replaced our sick pianist Tomas Vesely and the band made a great success. 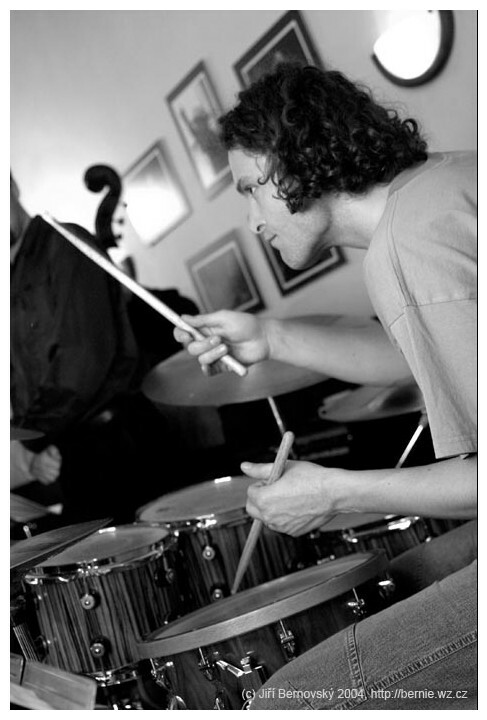 Jiri Levicek became a regular member of the band from Apr.2005. 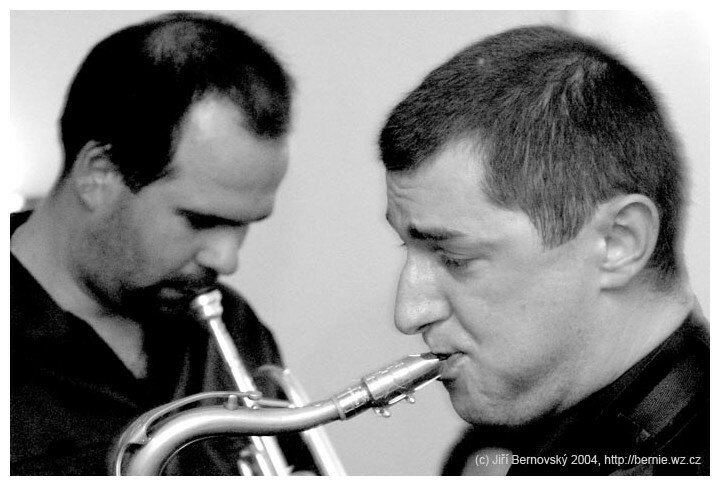 These photos were taken by Jiri Bernovsky, http://bernie.wz.cz, bernie@email.cz.